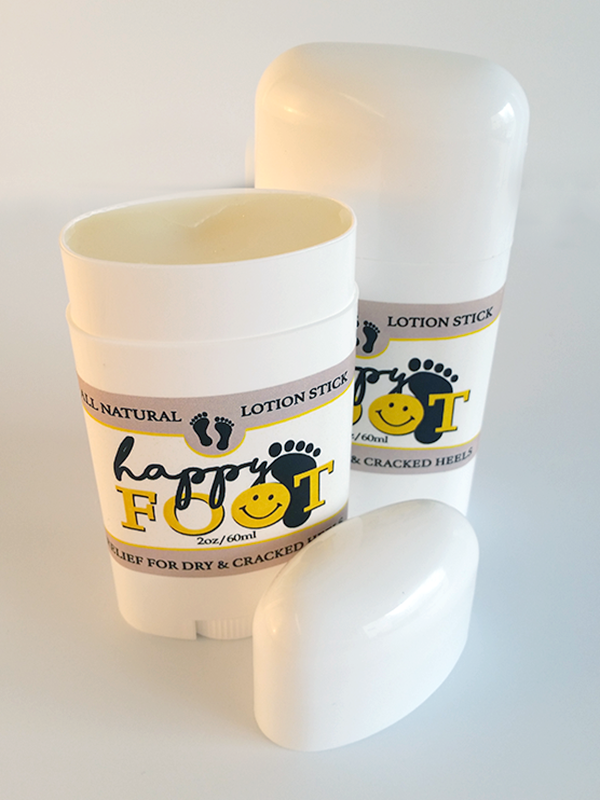 Happy Foot is a great moisturizing balm in a lotion stick. 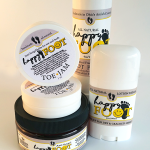 It is made to relieve dry heels, knees, elbows or just about anywhere you have severe dryness. 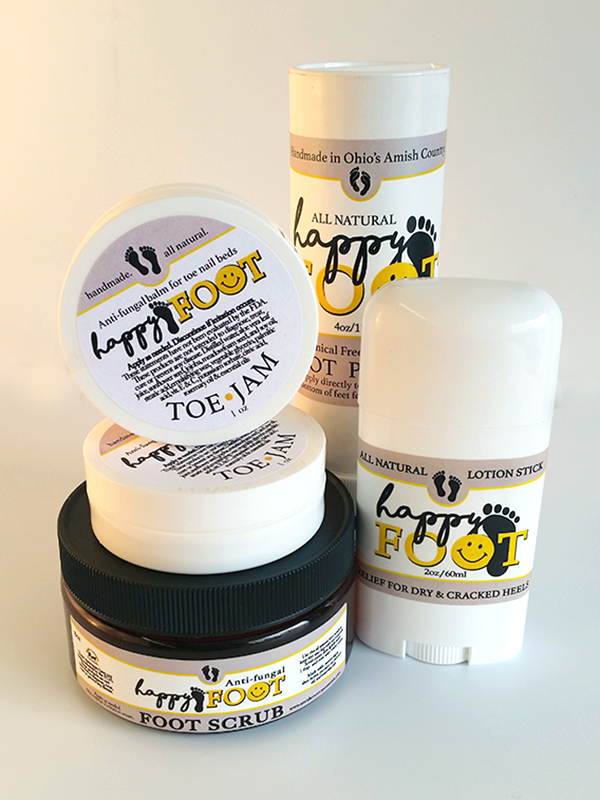 We have created a wonderful line of skin care that also has been used for colds, sinuses and flu like symptoms to help breathe better. 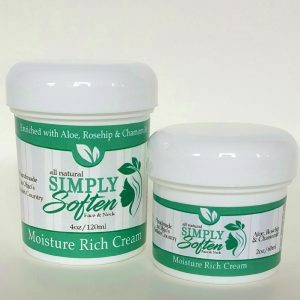 Our customers have stated that the Sensation line is their favorite during allergy and cold seasons. 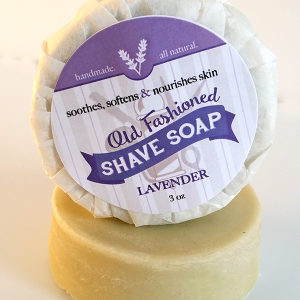 The soap, shampoo, salves and bath salts will keep you breathing and feeling great all year long. 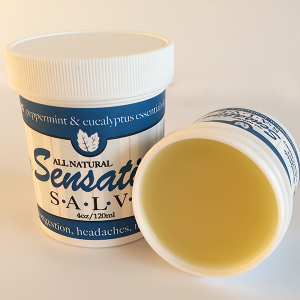 The salves also seem to provide some comfort for arthritis and muscle aches as well. The key ingredients we use in our facial moisturizer are Aloe, Rosehip, and Chamomile extract. These ingredients keep the skin hydrated and moist without clogging pores and also without a greasy feel. 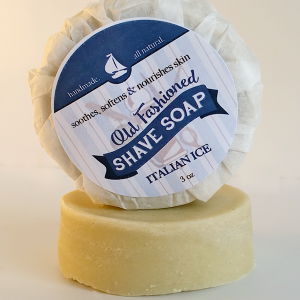 Use this with our Simply Cucumber Soap for a great facial treatment regiment.